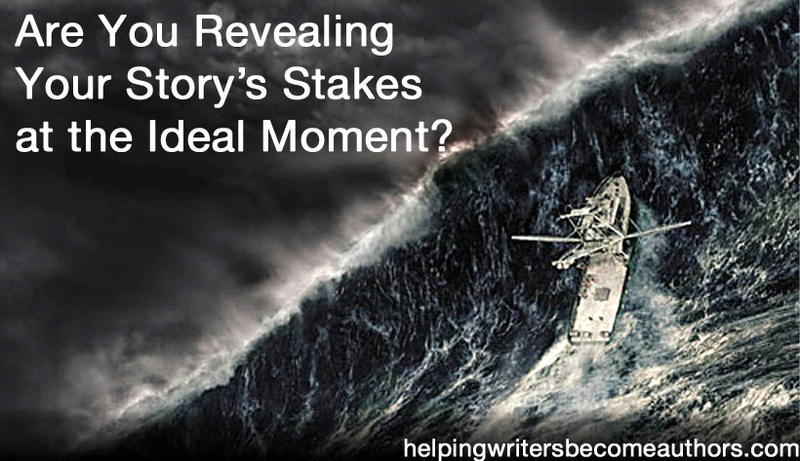 Are You Revealing Your Story’s Stakes at the Ideal Moment? 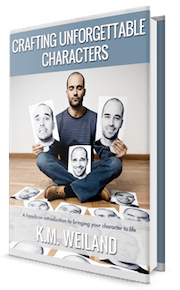 Character motivations drive your story. The protagonist’s motivation is what informs his goal, which is what creates the plot. And motivation always comes down to your story’s stakes. What’s at stake for your characters? Why are they trying to win the war? Win their love interest? Win the race? What they get if they win isn’t nearly as important as what they stand to lose if they don’t. In other words, what’s at stake? Your story’s stakes need to be established early on, sometimes even before the main conflict comes rolling into view. Disaster stories like The Perfect Storm and Armageddon all present overall stakes that are pretty clear: the characters’ very lives. Doesn’t get much more relatable than that. But you’ll notice that the disaster in disaster stories almost never hits until the Midpoint. So what’s at stake for the characters up to that point? You could conceivably spend all that time showing what a perfect little world your characters live in, so that when the disaster hits, readers will understand how terrible it would be to lose all that sparkly perfection. But it’s also conceivable that readers might get bored with a full half (or even just a quarter) of a story about a perfect world. So what do successful stories (of any genre) do? They immediately show what’s at stake for the characters, if not on a universal scale, then at least on a very personal one. Captain Billy Tyne needs to catch some fish so he can keep his beloved boat. Harry Stamper needs to make sure his daughter has a good future. These are deeply personal stakes that can be introduced before the main conflict comes along–and that’s handy, since not all stories allow for the main conflict to explode on Page 1. However, it’s also important to note that these personal stakes—however disconnected from the main conflict they may initially seem—must either directly affect the main conflict (Captain Tyne’s need for fish prompts him to take his boat into dangerous waters), or be affected by the main conflict (Harry is changed in a way that enables him to better see his daughter’s needs). Readers can’t look away from high stakes. 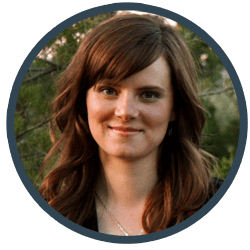 Hook them right away by showing what’s at stake for your characters, and you’ll keep your readers turning pages into the wee hours of the morning. Tell me your opinion: What’s at stake for your characters in the beginning of your story? So right! I like a book that gets to the point without a lot of wandering around. Tell my why I should care about these characters and about this book quickly or you will lose me. Really, the whole first quarter of a book is about introducing the stakes. Until we know what the character stands to lose, we can’t invest much in the coming conflict. Thank you! This has really helped clear this up in my mind. I was getting worried that my inciting moment wasn’t happening soon enough (when for obvious plot reasons it has to happen about a quarter of the way in). Building smaller friction up earlier will really help in keeping everything from being all sunshine and also show what personal issues/stakes my main character is going to be coming face to face with when that inciting moment-and later the climax-does come along. The First Plot Point at the quarter mark is always a place of no-return (even if you may have hit places of no-return previous to that as well). As long you’re acing that, you get a little elbow room in the First Act to explore characters and stakes. I’m glad you addressed this, KM, because I think it creates a lot of confusion. I know it did with me. Goals and stakes change in stories, usually around the midpoint. My character, TJ Coolidge, is hiding from the feds during the first half of my current WIP. He will certainly go to prison if caught and may even face the death penalty (I framed him for murder, just to be nasty). After the mid-point, he’ll shift into less concern over his own freedom and turn to fighting for the freedom of the New Americans, those outcasts from the cities who now struggle to create a new nation within the collapsed U.S. The stakes change from personal to something much larger, the very freedom of millions (I think I just gave you my elevator pitch). Again, great post. Thanks for making it clear how stakes are important and how they’ll change through the course of the story. The Midpoint is always going to signify a shift in priorities. The protagonist stops fighting just for himself and begins to see the bigger picture. 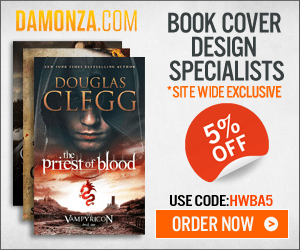 I’ve got a great guest post from James Scott Bell that talks a bit about that on Friday, and I’ll be getting into that more in the character arcs series as well. Getting the job done. As per usual, there’s another dead body, and Darby and her partner have to figure out who killed the person and why… and preferably, within 7 days. Nice. Tight timelines are always an easy and extremely effective way to up the stakes. Will try this in my next story which I am brainstorming right now. Showing, what´s at stake for the MC by means of a little disaster right at the beginning makes introducing him and his world much more exciting for the reader. Although I definitely don’t tout either Perfect Storm or Armageddon as great storytelling models, they both do a good job with that “little disaster” in the beginning. In Perfect Storm, the captain makes a poor fishing haul and risks losing his boat. In Armageddon, Bruce Willis’s character discovers that his daughter is in love with a roughneck. My character is a female racecar driver, and her stakes are to win a divisional race and gain a sponsor so she can race professionally. The racetrack owner and fellow drivers are determined to stop her from winning. Female racecar driver – fun! You don’t see that character every day. This post caught my eye and really made me stop and think about where I’m at with the main protagonist in my novel. It’s so true – I can see know I need to build the stakes for her on a personal level before the story’s larger stakes take hold. Thanks so much for this – you may have just saved my book! It’s valuable to remember that, ultimately, stories are always chiefly about the “personal level.” Whatever’s happening on the larger, external scale, it has to impact the character’s inner self – or why is he the protagonist and not someone else? Interesting post. It seems to me that good stories have two levels of stakes that are interrelated. There are the outer stakes upon which the plot is built. Then there are the inner stakes of the protagonist that typically come from the past wound. For example, in my current WIP the protagonist fears being alone in her life (based on being abandoned as a child), so her inner stakes are to keep the two people she loves most from slipping away from her (as they gain more independence). The outer stakes have to do with the trio competing in a wilderness race, but I haven’t really pinned down what the stakes are regarding that, since they aren’t in it to win. Obviously, I need to do some more brainstorming. Exactly – but it’s important to note that the two layers have to be interrelated. The outer conflict has to be specifically crafted to force the character’s inner conflict to evolve him as a person. This isn’t a question I’ve thought too much about. I focus on the motivation side of things, but not so much on the stakes, although perhaps one comes from the other to some extent? I write fantasy and Scifi, so it’s often life or death stuff. I think in the trilogy I’ve just finished drafting, the stake is the protagonist’s need to respect and love himself. If he doesn’t succeed in the quest he’s spent half his life trying to complete (we meet him halfway through it), then he’ll never find the forgiveness he so craves. Your absolutely right in thinking that the stakes and the motivation are interrelated. Without something big at stake, characters won’t find strong motivations for their actions. If you can figure out your motive, you can usually figure out the stakes – and vice versa. Personal stakes up front, to be followed later by some larger, over-arching crisis–that makes perfect sense to me. In the novel I will publish in a few weeks, my central character is painfully aware of what’s missing in her life. As she begins to find and gain what’s missing, the central conflict is working toward that tipping point you speak of, the point when personal and principal stakes both come into crisis. It’s possible, of course, to begin with the large stakes *before* they come crashing into the protagonist’s life (as, if memory serves, Armageddon does), but this usually means an extra-POV prologue. These are handy occasionally, but personally I’m not a huge fan of them. I would rather discover the conflict along with the protagonist. I just can’t find a way to tell you how much your posts are helping me. I’m an old novice writing my 1st novel. After reading this post, I realize that the way I have started my first page, my first paragraph, I am doing exactly what you’re suggesting. I was having a few doubts about this beginning thinking I should try to somehow get the main conflict in there, but the way I wrote it just felt so right to me. The personal conflict feels like a good way to introduce the main character. You have strengthened my confidence. Awesome! Really, the only rule of thumb that matters for a good beginning is: hook readers. As long as that hook eventually and organically leads into the main conflict, that’s the most important thing.